Here's something interesting we found over at Evangelical Outpost. 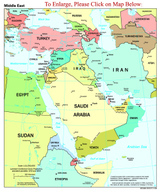 Ever wondered who has controlled the Middle East over the course of history? This great animation takes you through the last 5,000 years in just 90 seconds. The PKK has declared a unilateral ceasefire, the pro-Kurdish Firat news agency has reported. The truce is to take effect tomorrow. PKK terrorists would not use their weapons unless Turkish troops fired on them, the agency reported. The PKK's attacks in Turkey has claimed more than 30,000 lives since 1984. The declaration came after the PKK's jailed leader, Abdullah Ocalan, called on Thursday for the organization to seek a peaceful solution with Turkey. The Turkish government has previously said it will pursue the Kurdish group until it is eliminated or surrenders, and on Friday, Turkish PM Recep Tayyip Erdogan rejected Ocalan's call for a ceasefire. A spate of bomb attacks hit Turkey over the past month, some of them blamed on a group called the Kurdistan Freedom Falcons, regarded as an offshoot of the PKK. As violent attacks by the PKK have escalated in recent weeks, Turkey has been talking tougher than ever, even threatening military intervention in northern Iraq where the group has its bases. "The changes since our last poll show that the recent fighting in the Middle East has strengthened Americans' view that Israel is a friend to the U.S. and that Iran, Syria and the Palestinians are not," said Peter Brown, assistant director of the Quinnipiac University Polling Institute. "The biggest change toward Israel has been among political independents." Israel's support in the U.S. is stronger among Republicans (70.9) and independents (68.1) than among Democrats (60) and among men (71.9) than women (60.5). In other findings, approval of the Palestinian Authority dropped from 25.0 to 22.8; Iran fell from 16.9 to 13.9; Syria, which was not previously polled on, scored third worst overall at 21.7. In each case, Democrats and women view those countries marginally more favorably than Republicans, independents or men. 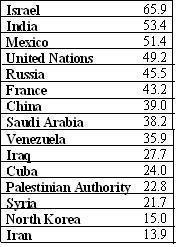 Additionally, Saudi Arabia, which condemned the original Hezbollah attack, dropped from 39.5 in June to 38.2. "Although the changes in each case are modest, together it is reasonable to assume that they show the recent fighting increased Americans' sympathies toward Israel and increased the animosity in the United States toward Israel's enemies," said Brown. There was also a new Harris Interactive poll released today that shows Americans view Israel and a friendly country and Iran as an enemy. The online poll of 3,685 adults measured American attitudes towards Turkey, Afghanistan and 11 others countries in the Middle East as well as attitudes toward eight leaders and organizations in the region. Three-quarters of U.S. adults identify Israel as either a close ally or "a friend, but not an ally," compared with 16% who see the nation as "not friendly, but not an enemy" and 8% who see it as "unfriendly and an enemy." By comparison, 76% of those polled view Iran as an enemy, while 21% see the country as not friendly, and only 4% view it as a close ally or friend. The region's other governments least likely to be seen as either an ally or friend were Syria (8%), Libya (12%), Lebanon (15%) and Iraq (18%). As far as views of leaders in the region go, Israeli PM Ehud Olmert is viewed most positively by Americans (49%). Olmert was followed by King Abdallah of Jordan (44%), Iraqi President Jalal Talabani (37%), Lebanese PM Fouad Siniora (31%), Palestinian Authority President Mahmoud Abbas (25%), the Palestinian Authority (23%), Hamas (17%) and Hezbollah (14%). Turkey is marshaling forces along its border with Iraq as diplomatic efforts have done little to curb the PKK, a separatist Kurdish group using bases in Iraq, from launching attacks against Turkish forces. The PKK waged a separatist war in Turkey the 1980s and '90s which cost the lives of some 30,000. They have also been accused of several bombings throughout Turkey. On Monday, two people died and at least seven others were injured in a blast in the city of Antalya. It came hours after three bombs went off in the resort town of Marmaris injuring 21 and another blast Sunday in Istanbul that injured six people. There were no immediate claims of responsibility but local Marmaris officials said they suspected the PKK was involved. Following the killing of 15 of its soldiers in July, Turkey started moving a large number of troops and tanks toward its border with Iraq. Turkey, along with Iran, which has its own Kurdish rebel group to deal with - the Kurdistan Free Life party (Pejak) - has also been shelling parts of the northern Iraqi border where the PKK has camps. "Clearly there is a tension to this issue. The United States is paying more attention to it, but the question is whether the Turks will wait to see concrete results from the U.S.," says Henri Barkey, an expert on Turkey at Lehigh University. "It also depends a lot on whether there are other spectacular attacks by the PKK." Cengiz Candar, a political analyst in Istanbul, describes Turkey's military buildup on the Iraqi border as "saber rattling," but says it's also "a statement to the Americans that Turkey is uneasy and trying to follow up on its demands that the PKK be dismantled." Syrian President Bashar Assad discussed with Turkish PM Tayyip Erdogan by phone the need for a cease-fire to stop Israeli attacks on Lebanon, the state news agency SANA said. This was the first comment by Syria of its desire for a cease-fire between its ally Hezbollah and Israel. 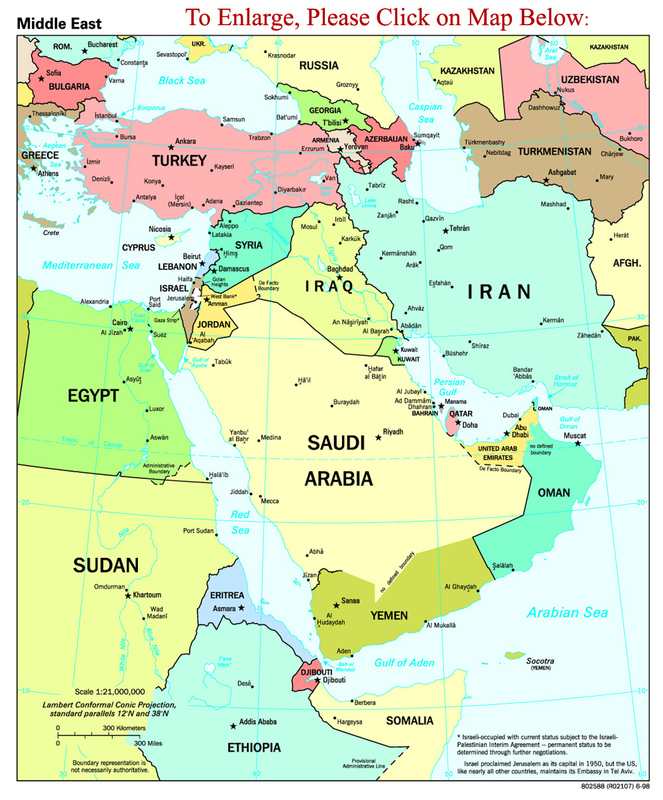 Let's make a quick list of those nations calling for an immediate cease-fire: Syria, Iran, Lebanon. Wow, that's impressive. Two state-sponsors of Hezbollah and the government of the country that allows Hezbollah to operate freely in the south. The Danish cartoon violence and controversy hasn't ended, it's just slipped slightly under the radar (for the blogs anyway, MSM never had it to begin with). On Sunday, tens of thousands of people massed in Pakistan and Turkey to protest the cartoons. About 50,000 people, many chanting "Hang those who insulted the prophet," rallied Karachi, site of the U.S. consulate terror attack last week. The protesters burned the Danish flag, hit an effigy of President Bush with a stick and chanted "Death to America" and "Death to Musharraf." In Turkey, some 20,000 protesters chanting anti-Danish slogans gathered in the eastern city of Erzurum, reports said. Just like the protest arrangement last week at UC Irvine, men and women stood separated by a barrier, NTV television reported. The protesters chanted slogans denouncing Denmark and cried "Allah is Great," the Anatolia news agency said. There is, however, some positive news. We know the Danes are a strong and resilient people, and now the Muslim world is learning that resiliency first-hand. Three weeks after rioting Muslims stormed the gates and shut down the building, the Danish embassy in Indonesia reopened on Monday. We also read some encouraging news coming out of Kuwait. Their parliament voted unanimously for implement a new law banning the imprisonment of journalists without a final court ruling and allowing new newspapers to publish for the first time in three decades. 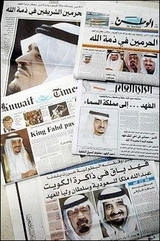 Kuwaiti governments have since the mid-1970s imposed a total ban on issuing licenses for new newspapers, and journalists could hitherto be jailed while under interrogation for an alleged offense. This is a welcome advance in the cause of free speech and applaud the Kuwait's for this reform. The outlawed Kurdistan Workers Party (PKK) called on Turkey to agree to dialogue with their group, accusing Ankara of "double standards" since it had engaged in similar talks with Hamas. The PKK is a designated terrorist organization by the U.S. and EU. "Why does not (Turkish Foreign Minister Abdullah) Gul spend efforts to stop bloodshed in his own country? Is this not a contradiction? Maybe it is because Kurds have carried out fewer suicide attacks (than Hamas). This is double standards," senior PKK commander Murat Karayilan said in an inteview with the pro-Kurdish Firat News Agency. Some 37,000 people have been killed since 1984 when the PKK began an armed campaign against the Ankara government for self-rule in the country's mainly Kurdish southeast. It has since abandoned its claim for statehood and is now calling for Kurdish autonomy within Turkey, an amnesty for PKK militants guaranteeing their participation in politics, and freedom for their jailed leader Abdullah Ocalan. Fourteeen people have been injured in the bombing of an internet cafe in Istanbul on Thursday, six of which were police officers. The cafe is frequented by police officers from the nearby local headquarters of Istanbul's riot police, according to The Associated Press. Radical Islamic, Kurdish and leftist militants are active in the city. al-Qaeda-linked Turkish militants were suspected of carrying out a series of suicide bombings in Istanbul in November 2003 that targeted British and Jewish sites and killed 61 people. The Turkish Daily News reports that violence stemming from the Danish cartoons may spread across Turkey as Friday prayers approach. The bombing may be a warning to the riot police not to interfere with any violence against European institutions in the coming days. Assessments point to a likelihood of protests and/or violence in Istanbul and/or Ankara in the very near future. Hat tip to In DC Journal. There have been riots across the Middle East the past few days over the 'Cartoon Crisis'. But as Jim Geraghty of NRO points out, not all Muslim nations are reacting inappropriately. Turkey, a 99.8% Muslim country, has reacted calmly and appropriately, while Syria, a 90% Muslim country, reacted with riots and the burning of the Danish Embassy.